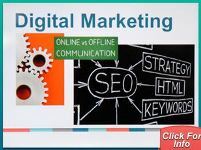 Browse Through Our Digital Marketing Resources! Simple Marketing Now's tip sheets, guides and articles get to the essence of what you need to know about a specific online marketing topic so you can get started. In this case - Digital Marketing, which includes social media marketing, SEO (search engine optimization), and website redesign. Simple Marketing Now's 'Get Started' Guides start with the tip sheets and go into considerable more detail with tips, best practices and examples. The guides are detailed below. Click on the links, or scroll down to browse through our Resource Library. For information relating to blogs and online content, visit Simple Marketing Now's Content Marketing Resources. See our Website Redesign case studies. Here follows a listing of articles relating to digital marketing and social media marketing which we have published. The Age of Conversation, a series of three unique global collaborative books to benefit Variety, the children’s charity and Charity:Water. The books are available on Amazon. Age of Conversation 3: It's Time To Get Busy, 2010. Chapter titled "Extreme Foreignness, Innovation and Execution"
Age of Conversation 2 – Why Don’t They Get It?, 2008. Chapter titled "Don't Be Myopic About Social Media"
The Age of Conversation, 2007. Chapter titled "The Conversation Age Enabled"
Free e-Book titled "Social Media's Collective Wisdom: Simplifying Marketing With Social Media"
Scroll through the Resources in Simple Marketing Now's Digital Marketing Library! Simple Marketing Now's Website Redesign 101 Guide details 7 questions to ask before getting started with a website redesign. This 18 page guide will help you focus on what matters in a website. 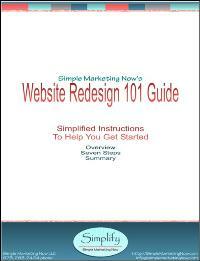 Click on Download Simple Marketing Now's Website Redesign 101 Guide to learn more and download your copy. Simple Marketing Now's Getting Started With Social Media Guide takes our 10 tips to a deeper level for exploring social media. In 7 pages, you'll not find advice from social media experts and perspective on how social media offers a means for building relationships with those who matter most to your business. Click on Getting Started With Social Media Guide to learn more and download your copy. Simple Marketing Now's free 10 page Twitter Guide will help you make sense of Twitter for business. It provides a primer for the language of Twitter, explains how to get more meaning out of the river of Twitter updates and take part in Twitter Chats. Click on Free Getting Started With Twitter Guide to learn more and download your copy. Simple Marketing Now's LinkedIn Guide will help you prioritize what to do first on LinkedIn. This 12 page reference guide describes LinkedIn's advanced features - including Groups and Answers - and how to use them. 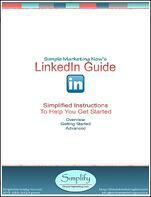 Click on Download Simple Marketing Now's LinkedIn Guide to learn more and download your copy.